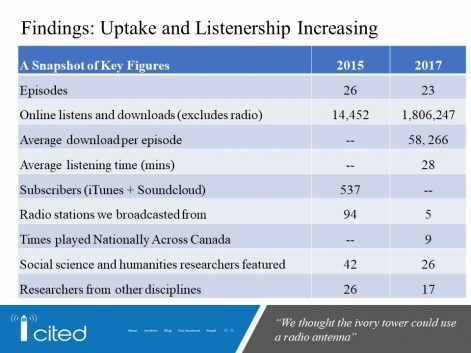 CITED, funded by a SSHRC Partnership Development Grant, creates KMb podcasts by blending the expertise of researchers, journalists, and community members to inform debates on important societal issues. 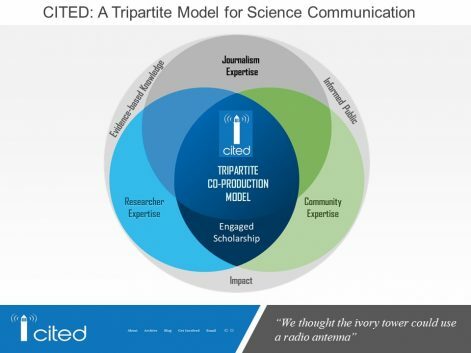 This study investigated the tri-partite model of CITED (research-community-media) as mechanism for science communication with the public. 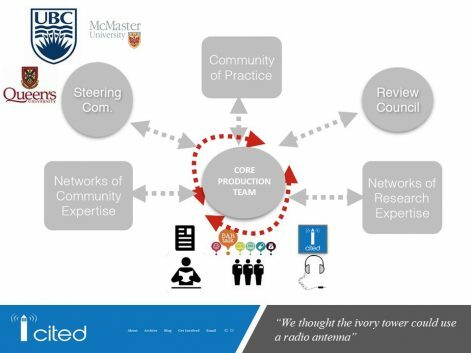 1) How do different values of media, community members, and researchers affect co-creative processes of developing KMb products tailored for the public? 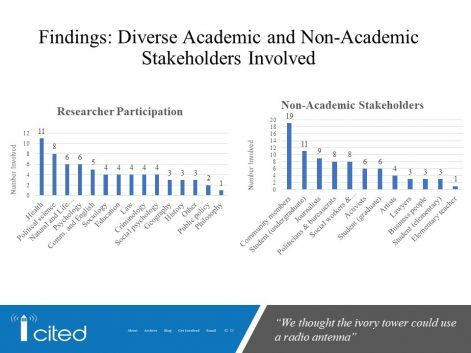 2) What are the facilitators and barriers to researcher-community-media partnerships? Data analysis is currently underway. Check back soon! Cooper, A. & MacGregor, S. (2018). Coding Manual: CITED – partnered knowledge mobilization between researchers and media organizations. Queen’s University, Kingston, Ontario, Canada: A RIPPLE Research Report. Cooper, A. 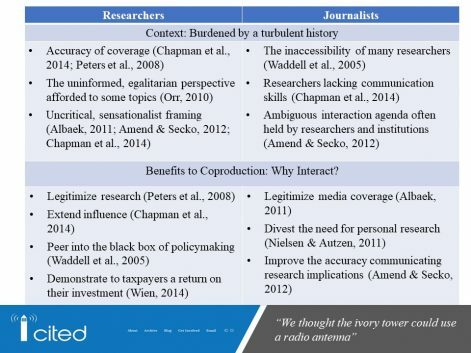 & MacGregor, S. (2017) Leveraging knowledge mobilization efforts in the media: Creating partnerships between researchers and journalists. Paper presented at CSSE, Toronto, ON. In progress - check back soon!